The Ivy strewn campus of Brown University needed a “safe space” where students could retreat, as one put it, “from a lot of viewpoints that go against my dearly and closely held beliefs.” The idea took off like a new iPhone. Soon, college campuses across America were falling all over themselves to outdo Brown in creating a space where students could hide from discomforting thoughts, “equipped with cookies, coloring books, bubbles, Play-Doh, calming music, and videos of frolicking puppies,” according to the New York Times. 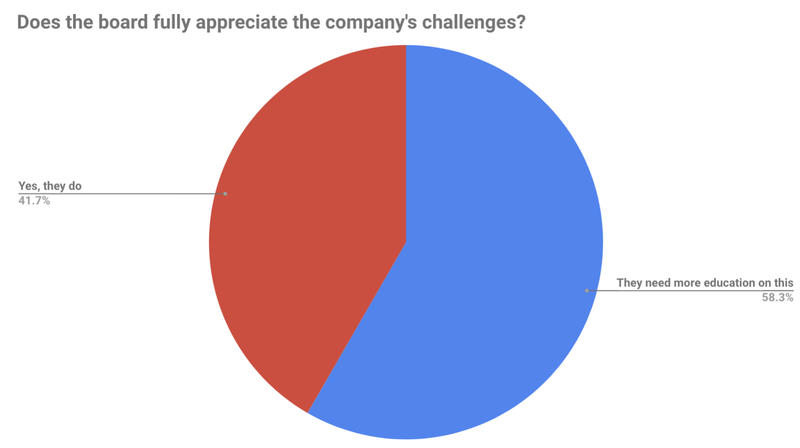 Although you won’t find Play-Doh inside the boardroom of many American companies except Hasbro, we recently conducted a survey that proved boardrooms do have their version of safe spaces. The most astute directors have found ways to demolish them. We recognized this as a result of a recent Thunderbird Opinions survey that showed what directors say in a board meeting is not always the same as what they believe. We compared the answers of a very sharp group of directors to questions in a group setting to their responses to an online version conducted anonymously. The research subjects were no ordinary board directors. The company is a prestigious biopharma firm, and the board included renowned scientists and physicians who spend their careers giving advice about life and death every day. We assumed they would be the most candid opinion sharers in the world until the research proved us wrong. One added distinction is that we expressly asked the directors to take their time with the online survey. We hoped to find out if contemplating an issue privately would yield different results than off the cuff discussion with the clock ticking. 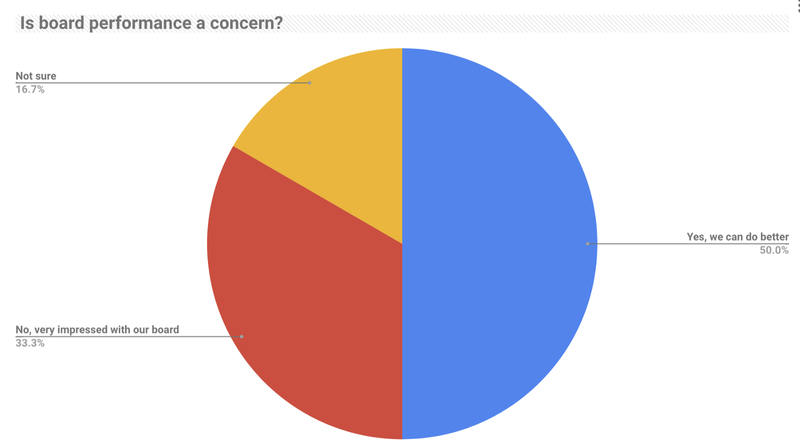 However, the responses to the anonymous survey varied as widely as the Charles River that runs past their offices near Harvard Medical School. Only half the directors felt the board exercised completely independent judgment when faced with personal conflicts. 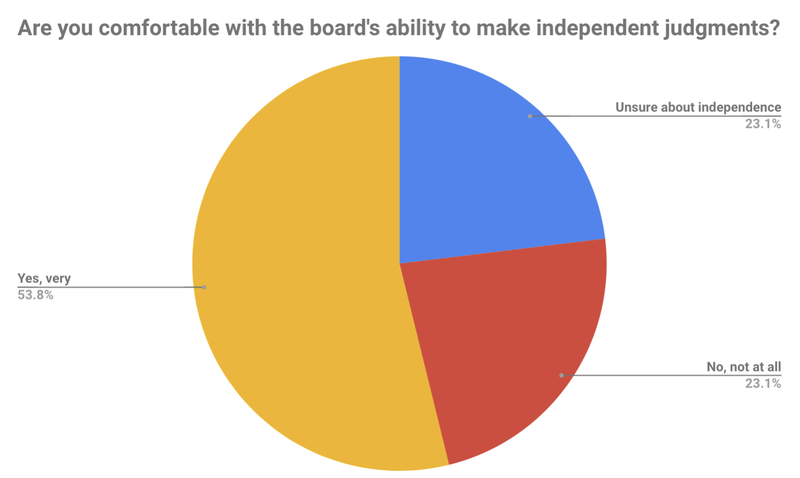 On the second question about confidence in the board’s abilities, particularly regarding risk and technology, over half the directors worried the board might not be up to the task — another finding that did not present itself in the discussion portion. The takeaway was this was not a sign of insecurity or incompetence or even criticism. The researchers interpreted the results as a refreshing realization that even the most distinguished directors might be reluctant to express concerns about colleagues or themselves publicly. But given time to think and in the privacy of their thoughts, an impressive candor develops that permits the directors to face reality and may yield better decision making. We concluded the safest space inside the boardroom is the one that creates a culture where courage can flourish alongside contemplation and candor. It might even help avoid the kind of disasters, as in cases like Enron or Lehman Brothers, where there was much debate that never led to asking the right questions. 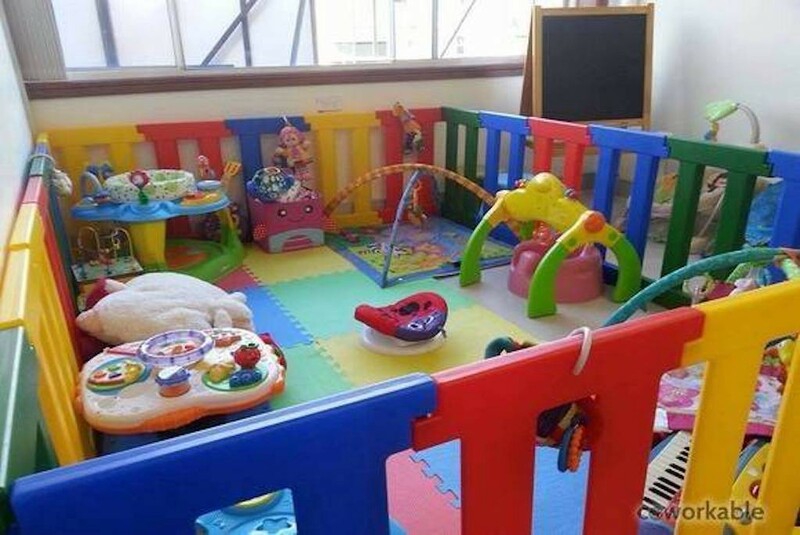 It certainly beats the alternative, watching a frolicking puppy video while squeezing balls of playdough.